Class Summary: In this class student will learn all about the mysterious wonders of chemical science. 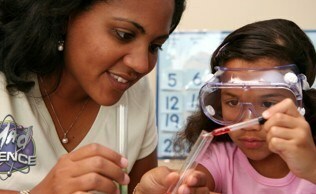 They will get to explore several types of physical and chemical changes through a series of activities and experiments. Students will observe crystals forming in a glass of water, and a puddle of acetone change into a big glob of goo right before their eyes! Educational Value: This course teaches children about physical and chemical changes and the importance of knowing the difference between the two. 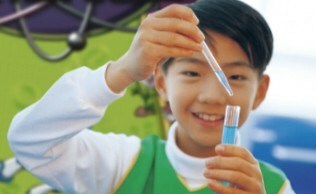 They will get to participate in a wide variety of activities including helping the Mad Scientist turn water into juice! After taking this class students will no longer consider chemistry to be a mystery!